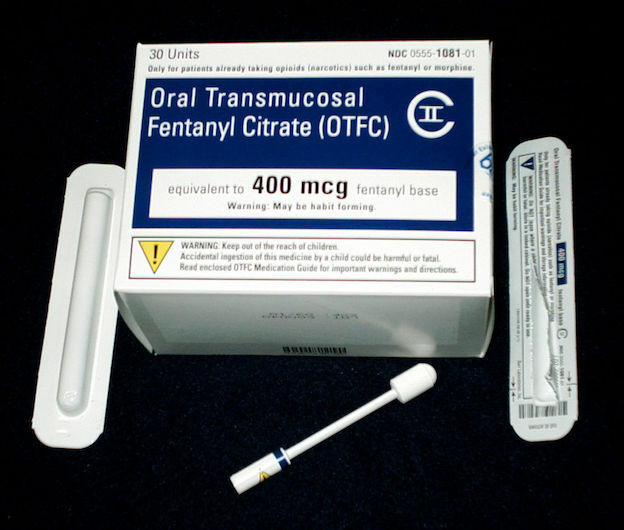 NEW YORK (AP) — A federal report says the powerful painkiller fentanyl was involved in more than half of the recent opioid overdose deaths in 10 states. The report released Friday is the latest to show how fentanyl is helping to make the nation’s current drug epidemic the deadliest in U.S. history. Most of the 64,000 U.S. drug overdose deaths last year involved opioids, which include heroin and painkillers such as Vicodin and Percocet. About 56 percent of opioid deaths in the 10 states studied involved fentanyl. Fentanyl is a far more potent opioid than heroin. It was developed to treat intense pain like that in people suffering through the final stages of cancer, but it is being increasingly sold illicitly and mixed with heroin by dealers because it is cheaper.